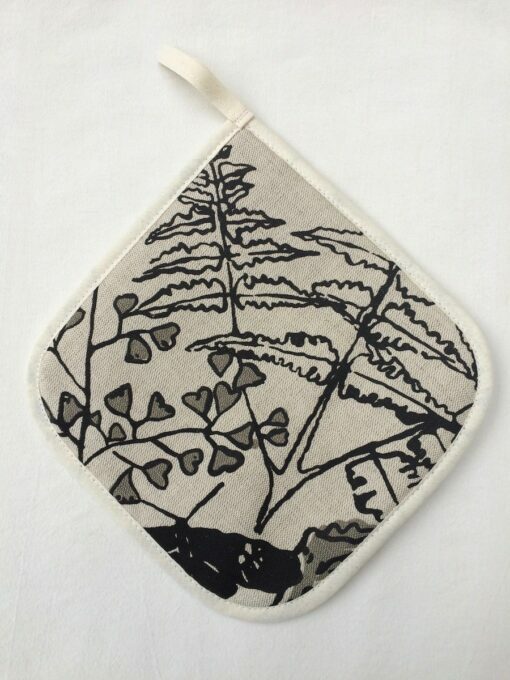 Gorgeous ferns in black and a practical tool. 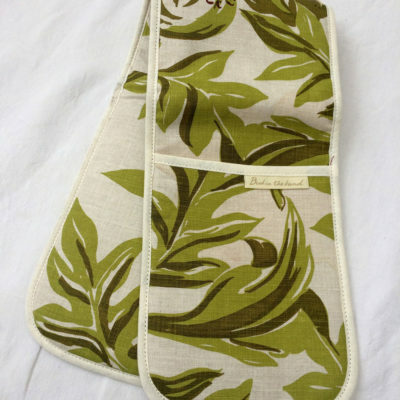 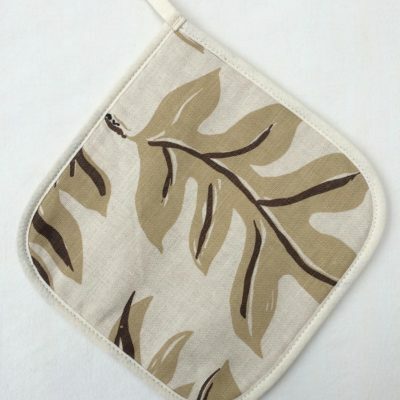 Made with thick, heat insulating cotton, this pot holder is decorated on both sides with our hand-printed linen. 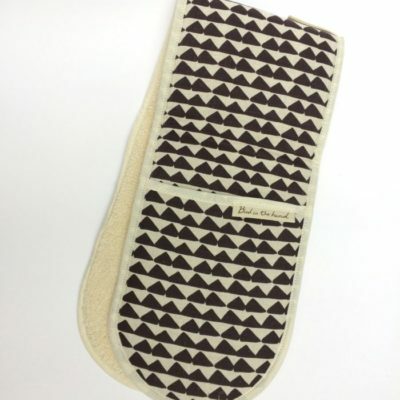 Machine washable at 40′.